How to restore hard deleted emails in Outlook, this has now become one of the most common questions nowadays. The reasons behind it are many, but one of most prominent reason is the increasing popularity of Microsoft Outlook. Most of the enterprises are rely on Outlook for their business continuity. At times, due to some reasons users want to recover missing or deleted emails in Outlook 2007, 2010, 2013 and 2016 without Exchange. However, it is so easy for them to execute this process in case of hard deletion. Let us first understand what these terms i.e. soft deletion and hard deletion mean. After this, we will move to the effective method to retrieve hard deleted data in Outlook. What is Soft and Hard Deletion? Soft Deletion: At the time, users delete the data such as contacts, emails, or other items from MS Outlook then, these mails go to “Deleted Items Folder.” This process is known as soft deletion. These emails are recoverable with the help of manual solution. Hard Deletion: Now in this case, when the emails items are removed with the help of Shift+Delete, they get permanent deleted from the system. Moreover, it does not move to “Deleted Items Folder.” This comes into the category of hard deletion. Let us learn a manual procedure to recover soft deleted emails without Exchange. For choosing various email messages, press & hold Ctrl key during clicking on items that you are restoring. By using both above methods, it is possible to recover soft deleted emails without Exchange, but in case of hard deletion, these methods will not work. Therefore, in this case you need to take help of Outlook PST repair software as there is no manual way which can help you out in this situation. With the help of this software, it is possible to recover missing or deleted emails from MS Outlook 2016, 2013, 2010, 2007 and older versions very easily. Whether the emails are deleted temporarily or permanently, the tool restores it. Moreover, the interface of this utility is very simple and even a novice can use it. Outlook has attained a great recognition in the online market among the professionals. It has now become a platform, which is easy to use and access. However, at times users search for any relevant method to recover deleted emails in Outlook 2007, 2010 without Exchange. Keeping this in mind, we have learned some methods to perform this task. 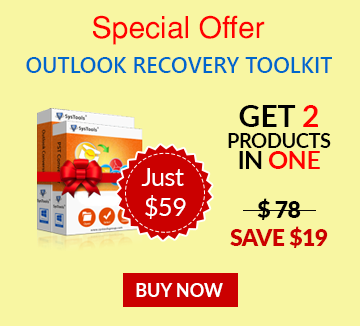 It is recommended to use an alternate solution to restore missing emails from Outlook.